Riflescope Reviews :: Which Is The Best Riflescope? Riflescope Reviews :: Hunting :: Combat :: We Investigate Which Is The Best Riflescope? Traditional wisdom tells us that the rule of choosing a good riflescope is to buy the most expensive one that you can afford. But not everyone can shell out a grand for something that they'll use two weeks out of the year. What about the bargain scopes? - you know, those riflescopes for sale cheap. We set out to objectively evaluate some of the most common budget priced rifleseopes on the market. We chose five categories by which to evaluate these scopes: optical quality, mechanical quality durability, eye relief, and ergonomics so you choos ethe best rifle scope for your weapon. Optics testing is difficult as results can be greatly dependent on the user's perception rather than measurable metrics. Our testing and rifle scope reviews took place under the most realistic conditions we could devise, using some methods developed specifically for this evaluation. We spent hours looking through these scopes in various lighting conditions and subjected them to rigorous tests of durability and accuracy. We played no favorites and kept it as objective as possible. Our results are a hell of a lot more valuable at finding the best riflescope than staring through the scope at the counter of a well-lit retail store. Just a note though, this isn't a rifle scope comparrison, rather a brief review on their individual merrits. LEUPOLD'S BASIC DUPLEX RETICLE HAS BEEN AROUND FOR DECADES BECAUSE HUNTERS LOVE IT. 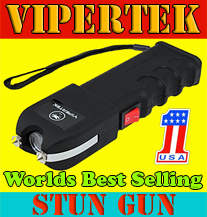 IT'S SIMPLE AND EFFECTIVE AND, WHEN USED IN CONJUNCTION WITH THE POWER ADJUSTMENT, CAN SERVE AS A BASIC RANGEFINDING DEVICE. The VX-1 is a light and compact optic with generous eye relief - all qualities that Leupold is well known for. The Leupolds glass was very crisp and clean during daylight hours and finished just behind the Zeiss and Weaver scopes at dusk. The basic ergonomics were strong, but the adjustment clicks could have been more positive. The VX-1 did show some tracking issues on the range that prevented a full 5-pointscore in the mechanical quality category. 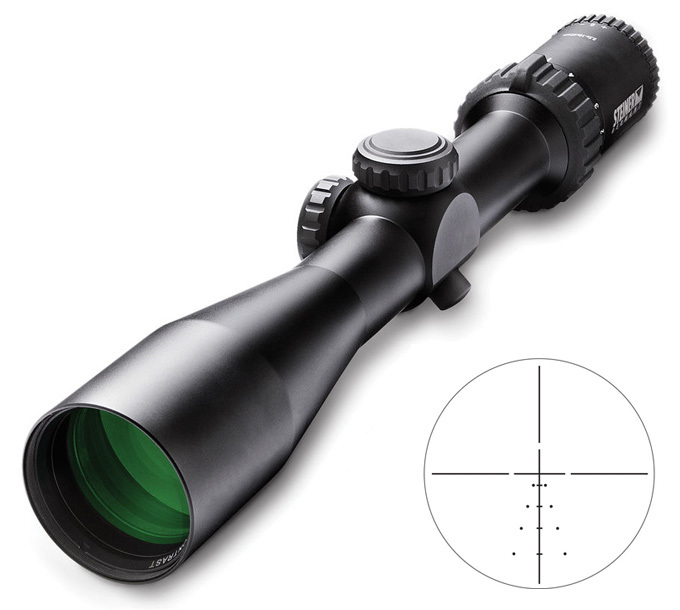 At $400 retail with a street price just under $360, this scope is a solid value for most hunting applications. Leupold's warranty and reputation for customer service are second to none and are an important consideration as hunting optics-do break. The Weaver is, without a doubt, the best value of all of the scopes evaluated. This scope nearly tied the Zeiss in total points and did it at less than half the price. The Kaspas image was bright and clear and performed well in low light. 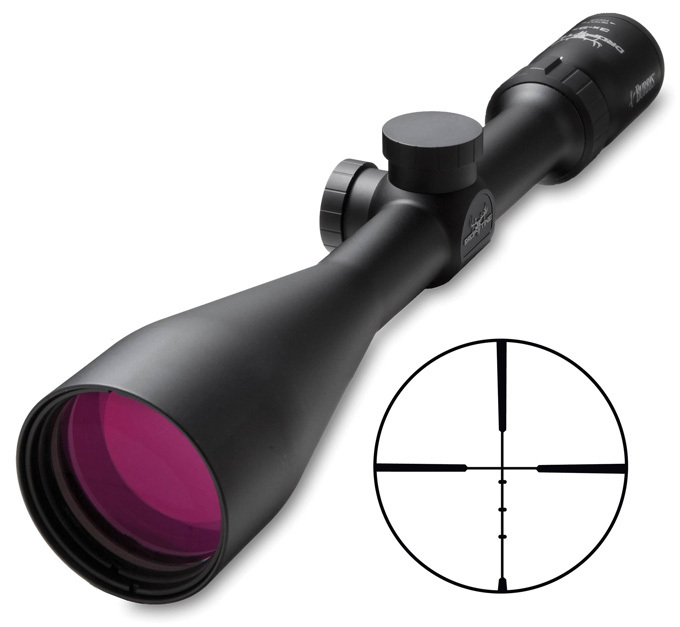 This scope offers the most magnification of all of our test optics and still has the most generous eye relief. My only complaint about the Weaver is that the size and configuration of the objective made mounting the scope where it wouldn't touch the Sendero profile barrel nearly impossible in the Leupold medium rings we had on hand. The good news was that even with the scope pushed far enough forward to allow the scope to clear the barrel, there was adequate eye relief for testing. BUSHNELL'S DOA 600 RETICLE DOES DOUBLE-DUTY AS A BULLET DROP COMPENSATOR AND AS A MEANS FOR. ESTIMATING A DEER'S RACK AT VARIOUS DISTANCES. FOUR ELEVATION MARKS WITH MOA DOTS HAVE VERTICAL BRACKETS THAT COMPUTE TO 24 INCHES AT VARIOUS DISTANCES WHEN THE SCOPE IS AT FULL POWER. This is the most expensive optic in our test by a wide margin, but far from the best performing. This is the largest and heaviest scope of the five and is a full three inches longer than the Zeiss. In this case, the size of the package wasn't a great indicator of performance. The optics were solid during daylight use, but the DOA reticle all but disappeared in low light, making it unusable seven minutes before legal shooting hours ended. The Bushnell's clicks were very positive, and it received top marks for overall ergonomics, but its performance on the test range indicated some inconsistency in the tracking of the adjustments— a key component in a rifle scope that is marketed for long-range use. This is probably a better scope than the score suggests, but the test parameters are fair and equitable across the board. 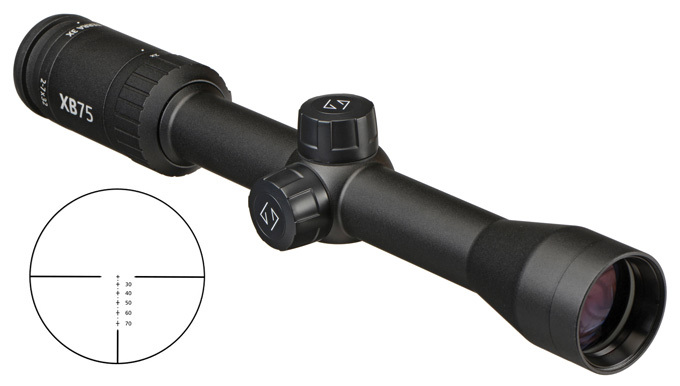 THE BURRIS BALLISTIC PLEX RETICLE IS A DUPLEX-STYLE WITH FOUR ADDITIONAL ELEVATION HOLDS. THE HOLDS EQUATE TO 1.4,4.3,7.2, AND 10.5 MOA FROM A 100-YARD ZERO AND MATCH THE AVERAGE BULLET PATH OF MANY COMMON CARTRIDGES. This riflescope is a bit heavier than the pack, surely due to its larger 50mm objective lens. The optics were excellent during daylight but appeared out of focus (despite attempts to adjust to a better image) at dusk, which affected its score. The scope performed perfectly when it came to the precision of its adjustments, though the clicks could be missed unless I really concentrated on the dials. Eye relief was better than the Bushnell and Zeiss but fellshort of the four-inch mark, which cost it a point. The Ranger rifle scope series delivers a short construction with a wide field of view. These rifle scopes deliver High-Contrast-Optics and are superbly capable in low light with a light transmission of more than 90%. Their lightweight, shock proof and appealing design give you the most for your money and will always deliver unfailing performance whatever firearm or target you prefer. 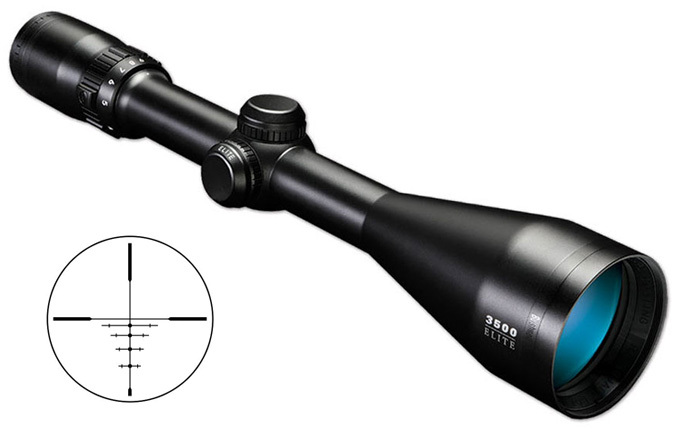 The proven 4x zoom range lets hunters around the world pair their new rifle scope with their favourite rifle. 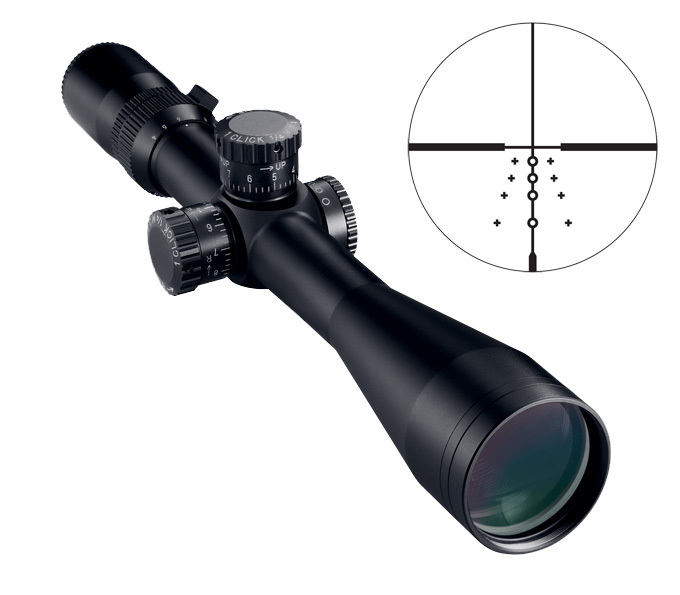 The Ranger 3-12x56 is a powerful all-round rifle scope for high seat and still hunting. Lightweight, weighing in at only 705g and features a large field of view. 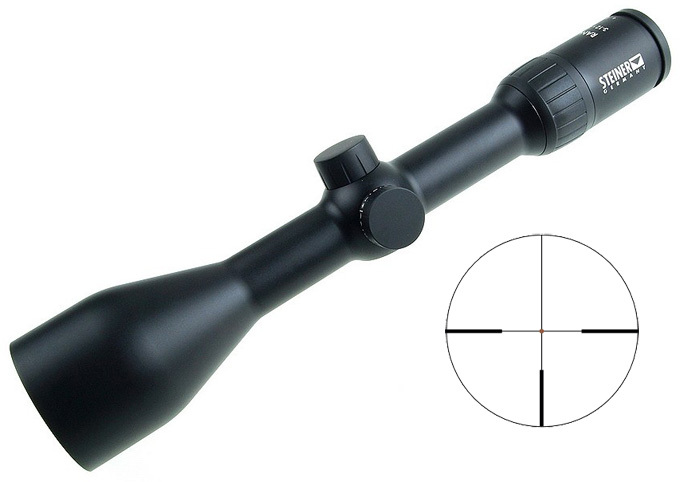 High light transmission makes this rifle scope a perfect companion for hunting at night. Precise illumination adjustment delivers perfect perform Compact versatility for virtually any rifle, plus an optical performance to pick out prey from any environment. Like that one guy who slept on your couch in college, some of the most memorable beasts earn their reputation by sleeping all day and rocking all night. Meopta will help you party with the big boys when the light turns low. Put any of the MeoStar R2 scopes to your eye and you'll instantly be struck with sobering clarity, from dawn to dusk. 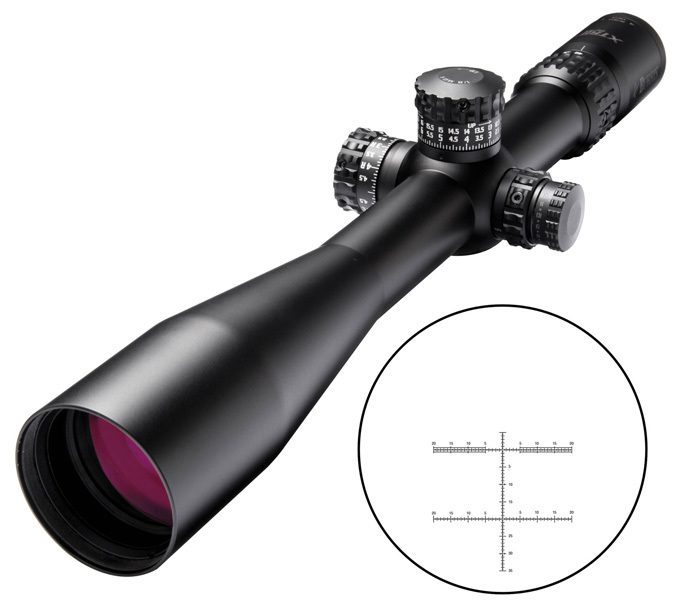 A new 1.7-10x42 configuration with two illuminated reticle options, a wide field of view, and a fast-focus eyepiece will ensure you don't miss out on any of the action. 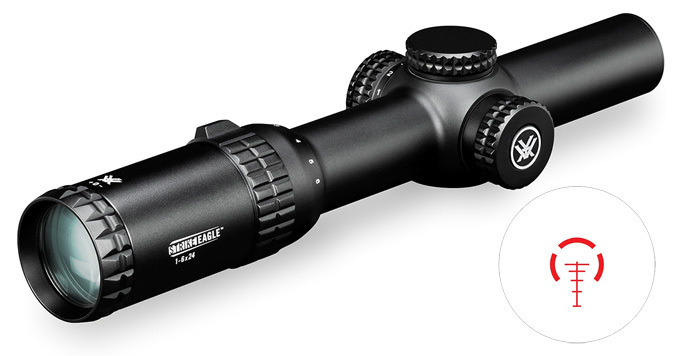 This riflescope best performs in low light condition. The enhancements to crossbow technology haven't directly correlated to the improvement of crossbow-specific optics. Its still not uncommon to see a throwaway scope sold in a high-end crossbow "package." But with the rapidly expanding popularity of horizontal bowhunting, its a smart move by a highbrow optics company like Zeiss to create a premium crossbow scope. 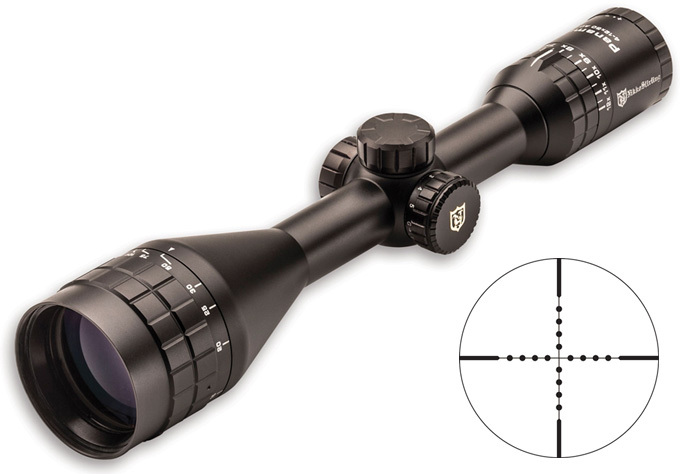 The 2-7x32 Terra XB75 is a low-profile scope made for crossbows that sling bolts at 275-425 fps. A shooter can calibrate the patented ballistic reticle to match the speed of their bow, and multiple vertical aiming points will provide precise drop compensation in 2.5-yard increments out to 75 yards. "Conceived in Germany; Born in the USA." That's the tag line floating around for Leica's new ER5 series of riflescopes. Yes, this means Leica is applying its legendary German optical engineering to design these scopes, but they're built on American soil. Six models range from an in-your-face 1-5x24 to a hair-splitting 5-25x26 (model currently unavailable) - all with 5:1 zoom ratios. 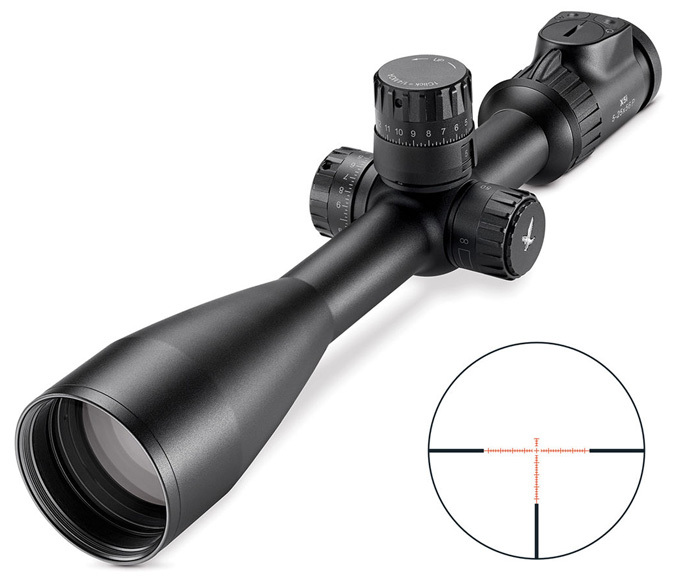 These scopes sport a matte finish with low-profile turrets and an overall classy look that should appeal to minimalists. Choose from six reticles and feel free to pick a ballistic option if the extra lines help you make longershots under pressure. Four inches of eye relief will save you from wearing black-and-blue magnum makeup. The new Steiner GS3 "game sensing" scope utilises exclusive CAT (colour adjusted transmission) lens coatings to amplify contrast in the peak human vision sensitivity range. The optimised contrast effectively separates game from leafy or shadow dappled backgrounds, exposing your target to a clean, accurate shot. If tactical makes you tick, you're probably aware of Leupold's long-range tactical Mark 4 scopes. But if you've never been employed by Uncle Sam to serve our country, there's a good chance a mil-dot reticle is as foreign to you as riding a camel. Your grandpa told you four clicks will move your bullet an inch across a football field? Good news: Leupold is now offering MOA-based reticles for its Mark 4s and sports side parallax adjustments. 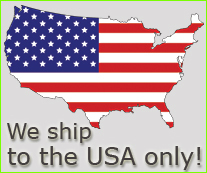 As usual, this scope is designed and built in America and backed by a full lifetime guarantee. A high degree of precision and a low price are the two most attractive attributes of the Burris XTR II line. These long-range scopes aren't new, but the Special Competition Reticle (SCR) is. The SCR is available in MIL or MOA versions, each with an illuminated center for faster target acquisition. You'll also find an improved click adjustment knob that offers 100 clicks per rotation, allowing shooters to adjust for 1,000 yard shots within a single turn. You'd be hard-pressed to find a thread-the-needle scope of this caliber at this price point. Oh, and if you judge a book by its cover, Burris got a much-needed brand facelift with a sleek new logo and fresh vibe. You can't hit what you can't see...especially when your target has horns and it's standing on a rocky slope at 600 yards in freezing rain. If you're seasoned in the long-range shooting game, you demand a rugged optical companion atop your trusted tack-driver. This new Elite Long Range Hunting Scope (LRHS) 4.5-18x44 from Bushnell steps up the magnification from last year's 12X model, allowing you to zoom so close with its fully multicoated glass that you can danged near read your quarry's mind. Choose MIL- or MOA-based reticles with .1- and .25-click adjustments respectively. Bushnells RevLimiter zero stop helps you return to zero by touch confirmation—no need to take your eyes off your next meal. From punching holes in pop cans to dumping prairie dogs or smacking squirrels, everybody loves a rimfire. Half the hoot of cracking through piles of tiny rounds is that it's a cheap thrill, so a do-all scope for .22 Long Rifle, .22 Win. Mag., and the flat-shooting .17 HMR is a sensible approach to rimfire optics. That's what you'll get with this Kaspa - three turret dials that you can swap out depending on what kiddy caliber you feel like playing with. Fully multicoated lenses and a practical Dual-X reticle add to the fun. Another hunting optics company? Bold move, indeed, but this newcomer is coming outswinging. Styrka (pronounced steer-ka) is Scandinavian for "strength." Its parent company has roots in telescope manufacturing. These eye-catching new optics are backed with a head-turning warranty that saysif you ever have a problem with their stuff, they'll fix it. Period. And if you're interested, they'll clean and tune your optics every year on their dime. 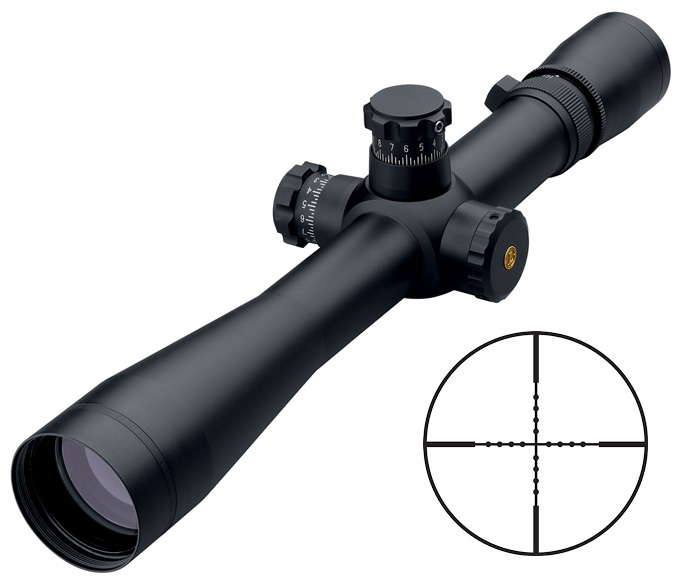 In riflescopes, the flagship S7 series offers three configurations: 1-6x24 (plex reticle), 3-12x42 (plex reticle), and 2.5-15x50 (plex or mil-dot reticle); illuminated reticles optional. Each scope has fully multicoated lenses and 30mm tubes made from aircraft-grade aluminum. Check out the Styrka S5 series if you're pinching pennies. Most ARowners prefer a compact optic to streamline their black rig for nimble performance. Close-quarters target acquisition is key, but some magnification for popping accurate shots at a distance is also desirable. The 1-6x24 Strike Eagle covers all those bases, plus it incorporates an illuminated BDC reticle with 11 light intensity settings. A raised paddle on the magnification ring lets you keep your eye on the prize while you're quickly adjusting for long- or close-range engagements. Definitely a pretty package for less than five Benjamins. THE TERRA"S DUPLEX RECTICLE USES A SLIGHTLY THICKER CROSSHAIR THAN MANY COMPETITORS' OPTICS, WHICH MADE THE SCOPE QUITE USEFUL AT DUSK. As you might expect from the brand - and the price - the Zeiss was the all-around best-performing scope in our test. The optics were clear and bright and allowed us to use every minute of legal shooting hours. The simple duplex reticle isn't fancy, but it showed up better than the competition in our lowlight testing—where I hunt that can make the difference between a dead buck and a lonely walk to the truck. The eye relief was the shortest of our test, which is something to think about on heavy-recoiling rifles. Ergonomics were good—my only complaint is that the 1/4-inch click adjustments were difficult to discern while wearing gloves. It's worth noting that while the Terra was the best-performing scope in our testing, it is among the most compact, which makes it a great choice for a big-game rifle. The Terra is clearly our top choice, but it just barely beat out the runners-up. The new X5(i) rifle scope from Swarovski Optik is said to be a long-range expert - you will only successfully achieve accurate hits over long distances and in challenging situations if your equipment reliably performs at its best, together with having plenty of experience and in-depth knowledge of the local conditions. Precision is the number one condition for long-range shooting, including for the X5(i). Using the turrets and the spring retention system, you can adjust the impact point to your exact requirements with the X5(i). Another crucial factor is the intuitive operating features. The innovative spring retention system enables the X5(i) rifle scope to reach a very large adjustment range of up to 116 MOA. The role of the retention lever is to ensure constant pressure in each HHRBI B position of the inversion system. This means that an extremely accurate impact point adjustment is guaranteed across the whole adjustment range of 1/4 or 1/8 MOA (depending on the model) in terms of both elevation and windage. The parallax turret enables you to adjust the parallax perfectly to the relevant shooting distance. The magnification indicator ring allows you to easily read the set magnification from any shooting position. Every X5(i) rifle scope is crafted from the finest materials and undergoes the most stringent quality control checks. Thicker walls in the main tube, integrated steel parts in the turrets, and the inversion system's spring retention system provide maximum stability, even when powerful calibers are used and in extreme temperatures. The X5(i) illumination unit offers 10 different illumination levels. When they are inactive, the reticles are completely black and clear, while when active, they are illuminated across the whole surface. The illuminated reticle produces the maximum contrast both during the day and at night, including in poor light and weather conditions, while also ensuring greater accuracy. From September 2015 there will be three different models X5(i) 3.5-18x50 P and X5(i) 5-25x56 P, offering specific reticles and an optional personalized extreme cam (PXC). VORTEX Mil Spec optics are fast becoming a preferred sighting system amongst many European and US special operations and law enforcement agencies, including Tier 1 military units. Vortex's Vortex Razor Gen II 1-6 x 24 variable rifle scope features the company's outstanding optical performance in a super ruggedised unit machined from high grade 61T aluminium, capable of withstanding 40G recoil shock without any variation in weapon zero or round Point Of Impact. The Vortex Razor Gen II 1-6 x 24 is designed for Close Quarter shooting and delivers outstanding long eye relief and a fine diopter able to accommodate every eye to effect ultra rapid, super positive target acquisition and engagement without compromising the shooter's situational awareness. Optical quality was evaluated by mounting all of the scopes side-by-side in a special jig built for me by custom gunmaker D'Arcy Echols. The tripod-mounted jig allows me to focus all of the scopes on a single object simultaneously, and, with minimal movement, I can move my eye back and forth between the respective scopes to make the score as objective as possible. General optical quality was evaluated by studying optical test charts through the scopes as well as by using the scopes in open country under realistic hunting conditions. Low-light performance, which falls under the optical quality category, was examined by watching a 3-D deer target at dusk through each of the scopes at 6X—the later that the deer was "shootable" through a given scope, the higher the score. 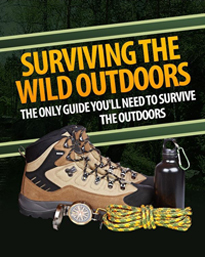 The deer was 70 yards away and in the shade of several oak trees, which accurately replicated real-world hunting conditions. The Zeiss Terra with its bright glass and healthy duplex reticle won thisrace hands-down, but the difference between first and last place was a mere six minutes. That said, six minutes can be an eternity on the last evening of a hunt. Scopes were mounted to a rifle of known accuracy: a Remington Model 700 VLS loaded with match ammo. Scopes were examined through a collimator while moving through the power range to determine whether the reticle was prone to wandering. The scopes were then zeroed at 100 yards before "shooting the box" by adjusting the point-of-impact by four inches in each direction to determine whether the adjustments tracked with consistency and precision. A point was lost for any shots that deviated from the one-inch blocks on the target. The Weaver and Burris scopes were mechanically perfect, but all of the others faltered in one way or another. The Zeiss tracked with consistency, but the 1/2-inch clicks didn't correspond exactly to that standard downrange. The remainder of the scopes showed slight deviations in windage and/or elevation as they tracked around the target. Each scope was immersed in hot water with the dial covers removed, placed in the freezer, and mounted on the rifle with a minimum of 10 rounds fired. This was a pass/fail category for which all of the scopes received full points. If you think this is an easy test, you'd be surprised to know how many scopes I break during the normal course of testing and evaluation (two so far this year). Letting my kids chew on them and bounce them on the driveway would have made it more interesting, but we decided that it wasn't very objective. This is a purely subjective category based on the scopes max eye relief - anyone with a scar on their forehead knows how important this quality is on a riflescope. European scopes usually lack in this : department, and that held true with the Zeiss, even though this model is made in Japan. The Weaver and Leupold scopes* had the greatest eye relief in our testing! and would be my choice for anything over a .30-06 on the recoil spectrum. No hunting scope is useful if it can't be operated under stress and in the crappy conditions we often encounter in the field. Things like the ease of turning they power ring, the ability to make point-of-impact adjustments wearing gloves, and the overall user-friendliness of the scope were evaluated with points awarded appropriately. Lack of tactile clicks on the adjustment knobs was the most common gripe—the fact is, all of the scopes were more or less idiot-proof. As each reader's budget, needs, and preferences vary tremendously, we did not assign points for value. For stand hunting whitetails in the South, three additional minutes of shooting light may be worth $200 while a guy who shoots from canyon to canyon may put more value on a scope's mechanical precision. We let you decide which scope's attributes best match your wallet. The XPF series delivers affordability and now features locking windage and elevation knobs. The XPFs all have 30mm tubes and 50mm objective lenses, with side-focus parallax adjustment—along with illuminated, glass-etched reticles. Reticles are in the second plane; choices include mil dot and rangefinder styles. 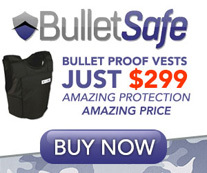 Nitrogen-purged for fog proofing, and they're shock- and recoil-resistant. Each XPF comes with rings for slotted bases. Models include 3-12X, 4-16X, 6-24X (shown) and 10-40X. Approx price range: $140 - $170.